All of these can be related to the constant stress we feel in our lives. We know that stress can have a huge impact on our health and wellness. And, since your adrenal glands produce stress hormones, adrenal fatigue (or “HPA Axis Dysregulation”), is a popular theme lately. But what happens when they become “overworked”? You’ve heard of “adrenaline junkies”, right? It wouldn’t feel like an awesome (once-in-a-while) “rush”, anymore would it? Ideally, if you think stress is starting to burn you out, stress reduction is key. There are tons of ideas on how you can reduce your stress. My favourites are meditation, walking in nature, light exercise, more sleep, or taking a bath. http://hotchixshotsex.com/wp-content/uploads/2018/06/Blog-Post1024x512jun28.jpg 512 1024 Irene Hogan http://hotchixshotsex.com/wp-content/uploads/2015/10/IreneHogan_HotCHIXS_transparent-300x232.png Irene Hogan2018-06-29 17:00:072018-12-01 11:06:01Adrenal Fatigue: What Is It? If there was ever a call for “digestive health”, this is it! 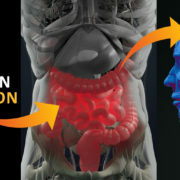 What exactly is the “gut-brain connection”. This is complex and amazing, if you ask me. I’ll briefly touch on these areas and end off with a delicious recipe (of course!). In fact, many of the neurotransmitters that have a strong effect on our mood are made in the gut! For example, a whopping 95% of serotonin is made in your gut, not in your brain! Because eating and drinking are a huge portal where disease-causing critters can get into your body, it makes total sense that much of our defense system would be located there too, right? 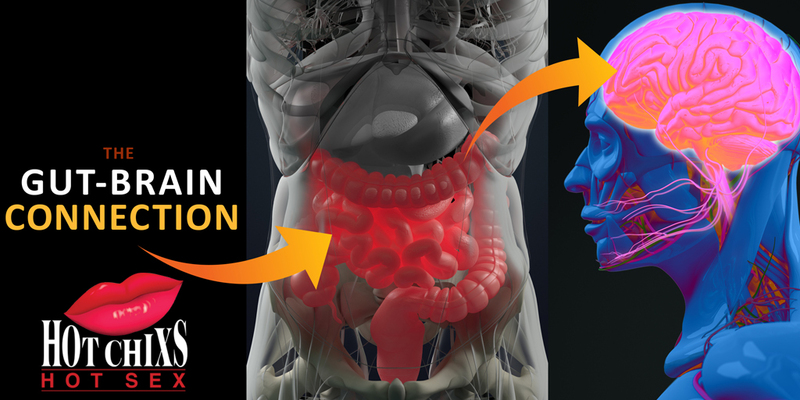 Seventy-five percent of our immune system is in our gut! Well, if they’re “activated” by something in the gut, they can potentially wreak havoc anywhere in the body including the potential to cause inflammation in the brain. These are your friendly neighborhood gut residents. You have billions of those little guys happily living in your gut. And they do amazing things like help you digest certain foods, make certain vitamins, and even help regulate inflammation! Of course, a variety of minimally-processed, nutrient-dense foods are required because no nutrients work alone. But two things that you many consider eating more of are fiber and omega-3 fats. Fiber (in fruits, veggies, nuts, and seeds) help to feed your awesome gut microbes. And omega-3 fats (in fatty fish, walnuts, algae, and seeds like flax, chia, and hemp) are well-known inflammation-lowering brain boosters. Mix blueberries, oats, almond milk, chia seeds, hemp seeds in a bowl with a lid. Let it set in the fridge overnight. 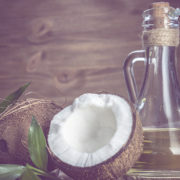 What makes MCTs unique is how your body metabolizes them; they’re easily absorbed into the bloodstream by your gut, where they go straight to the liver, and they’re burned for fuel or converted into “ketones”. http://hotchixshotsex.com/wp-content/uploads/2018/06/1.jpg 512 1024 Irene Hogan http://hotchixshotsex.com/wp-content/uploads/2015/10/IreneHogan_HotCHIXS_transparent-300x232.png Irene Hogan2018-06-15 17:00:342018-06-14 08:19:00The Coconut Oil Craze - Should I Jump on the Bandwagon Too? 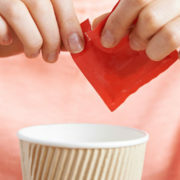 Today we’ll specifically discuss “artificial sweeteners”, which are synthetic chemicals where a tiny bit tastes very sweet. 3. When almond milk is hot, add about a ¼ cup matcha and stir to combine. 4. Add rest of the milk to a cup.